One thing we don't lack around here are mosquitoes. They're horrible for all of July & August. My poor kids get eaten alive the minute they step out the door. And they hate it when I have to spray them down with bug spray. So you can only imagine my excitement when I found this stuff. Not only does it smell good, it's sunscreen & bug repellent in one. It's always handy when you have 4 kiddos if you can skip a step. 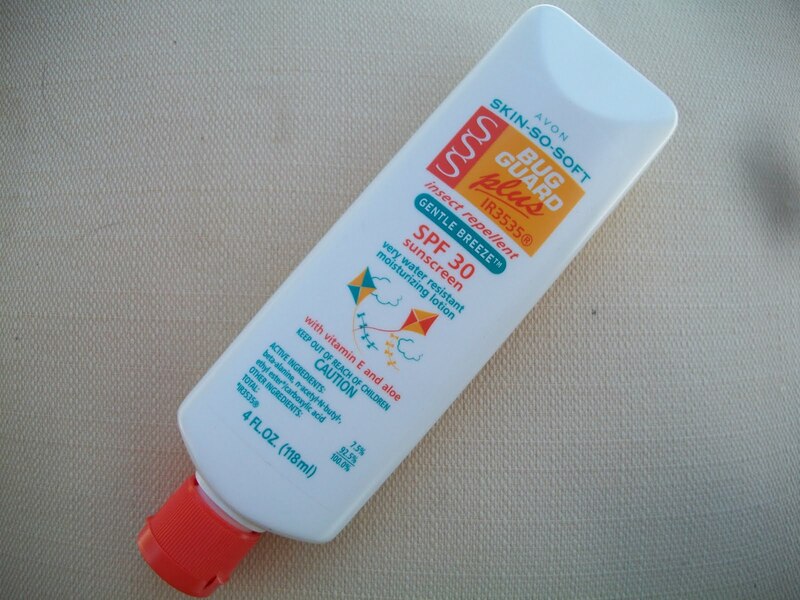 So to get sunscreen & bug repellent on in one shot is wonderful. It's also waterproof. I swoon, I'm in love. You can grab a bottle of this stuff here wait patiently for a sale & you can get it for a steal.